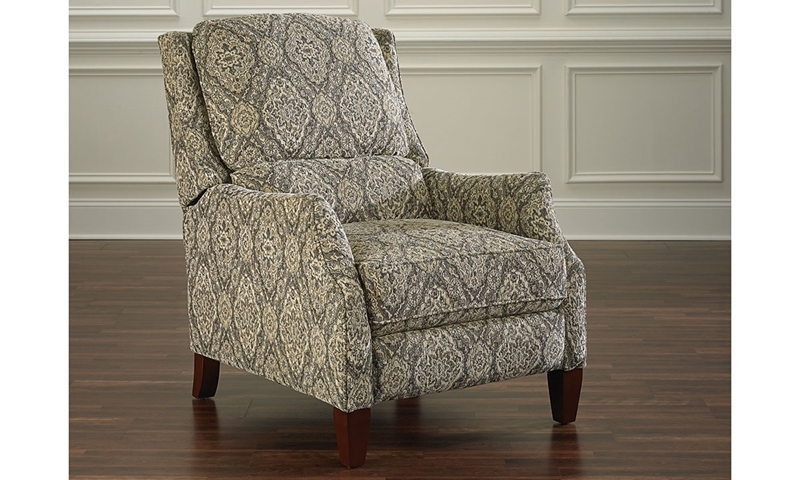 Subtle wingback silhouette with 3-way recline in elegant tapestry fabric. A 3-way recline mechanism and chic tapestry fabric make this arm chair a functional accent piece. Its wingback shape features a supportive double-pillow back and sloped arms atop contrasting wood feet for added comfort and appeal.